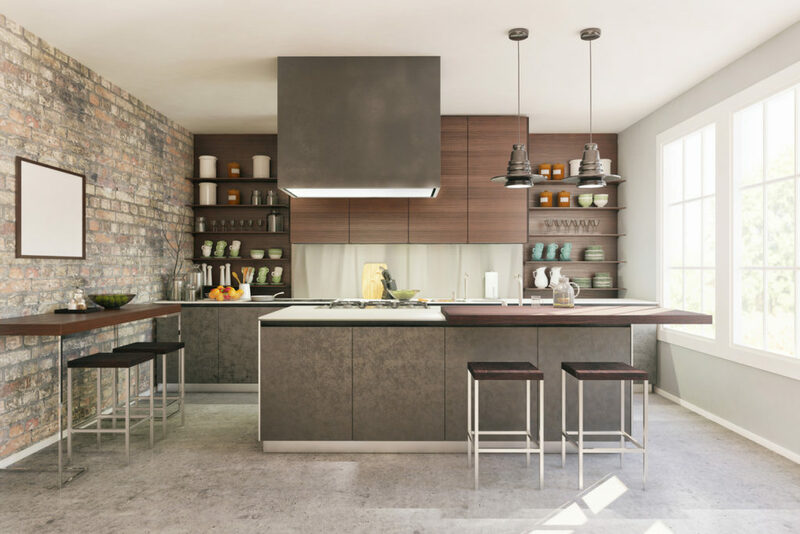 When installing a new kitchen, there’s an overwhelming amount of choices to make that can affect both its appearance and the way that it works. One of these choices is whether to opt for appliances that are built into your cupboards and worktops or free-standing ones. We’re here to go through the benefits of having integrated appliances in your built-in kitchen. Integrated appliances are concealed, as opposed to regular appliances which are usually plainly visible and distinct. With most appliances, integration means that they are fixed to the inside of the cupboard door so that, from the outside, they match the rest of the kitchen and are completely hidden from view. Built-in appliances are also great ways to save space in small kitchens, as it’s possible to find slimline appliances that are ideal for kitchenettes or open plan spaces. Modern ways of living and the rise of the open-plan kitchen, dining room, and living room mean that integrated appliances are now the preferred way to get a seamless look throughout your kitchen. When appliances are out of sight, they don’t dominate the room and can help to create a more unified space. Integrated washing machines, tumble dryers, and dishwashers are also often quieter than their freestanding alternatives. This is not only because they’re concealed behind a door, but also because they’re held in place by the fitted kitchen around them so are less likely to shake and rattle. Integrated appliances also simplify the process of designing an aesthetically consistent kitchen. Because all appliances in an integrated kitchen are hidden behind cupboard doors, it doesn’t matter if they’re different colours or styles. Non-integrated appliances like ovens and microwaves have limited placement options. A freestanding oven, for example, can only be placed on the floor, which is not the ideal position for someone with back or mobility problems, or the ideal position for kitchen efficiency. With integrated appliances your washer, dryer or oven can be installed in your ideal position. For homes with a kitchen island, integrated stoves and ovens are great for serving dishes straight from the oven. Creating a more sociable eating and dining experience. Built in kitchens have fewer hidden surfaces, which means they are easier to clean and maintain. With integrated appliances, you won’t have to pull them out to clean their tops or even underneath them. The overall cleanliness of your kitchen between cleans will be improved by integrated appliances because there will be no room for food, debris, and dust to fall into and accumulate. Although instructions on how to repair integrated appliances can be found online, they can be difficult to repair yourself, especially when compared to freestanding appliances. Glotech Repairs often deal with integrated appliance repair requests from homeowners. Simply book your repair online or over the phone. Any faulty built-in appliance repaired by Glotech has a six-month guarantee for the same fault and any new parts.